Dogs are playful by nature, no matter their age. For many dogs, running around and jumping comes as second nature. 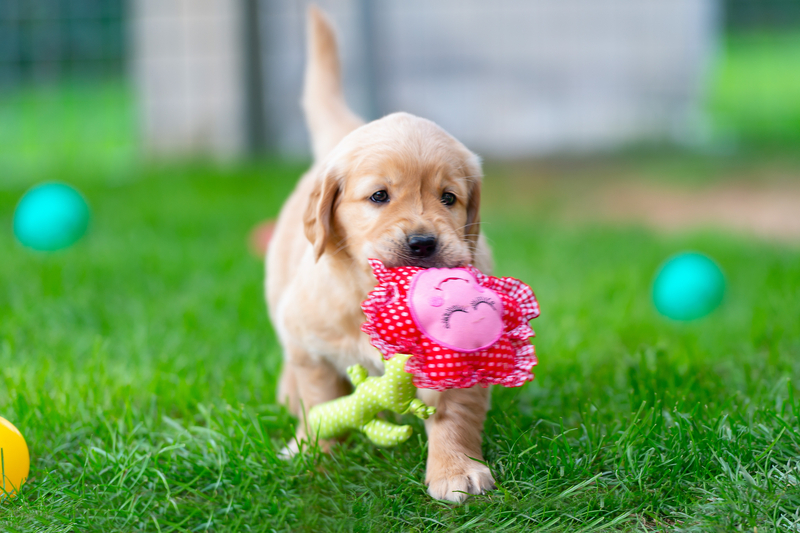 Playtime is a very important part of creating a healthy lifestyle for your dog. With this in mind, there have been many attempts to create toys that both people and dogs can use during playtime. 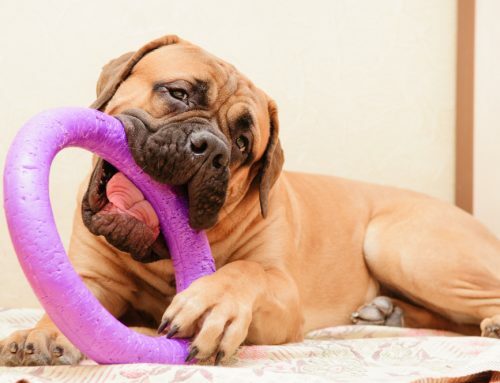 Squeaky toys have time and time again proved themselves to be popular with dogs! Here are some reasons why. One great misconception about dogs is that they love squeaky toys because it annoys their owners. However, the sound that squeaky toys produce resembles that of small prey. Dogs, being descendants of wolves with killer instincts, relish the sound that these toys make as it resembles the cry of an injured prey. Harsh but true! Cause and Effect is another theory that works to explain the dog’s love for squeaky toys. This theory explains why dogs are encouraged by the squeaky sound produced every time they bite down on a toy. This immediate auditory feedback triggers the reward center in their brain which stimulates their biting frenzy and causes feelings of satisfaction. 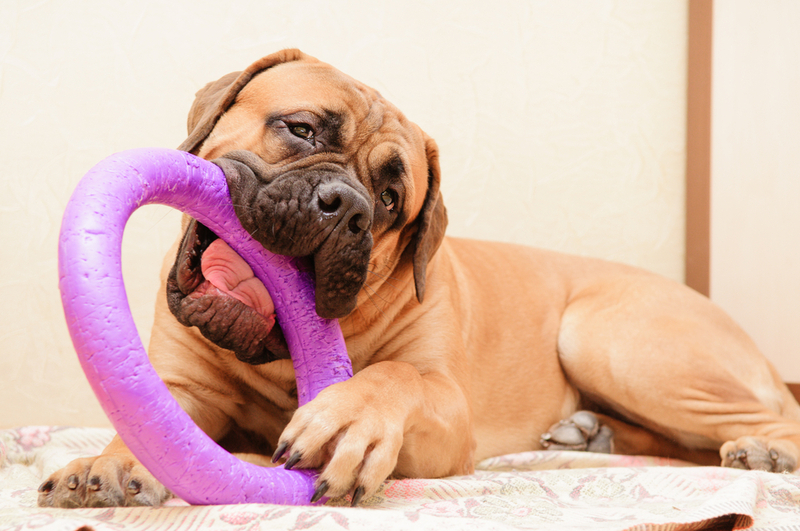 The next time you see your dog battling a harmless squeaky toy, don’t panic! This is just their way of expressing happiness. Just like humans, dogs experience stress. One way in which they cope with it is by biting down on items. 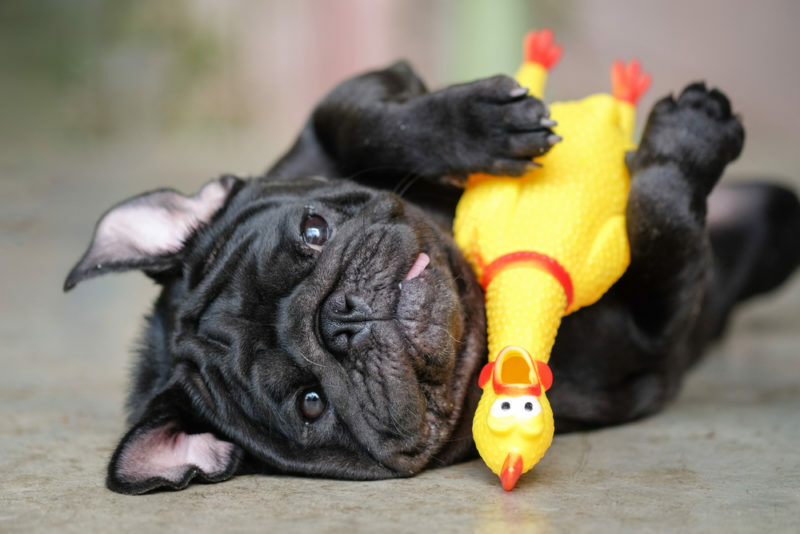 As biting their owners is understandably out of the question, squeaky toys provide an outlet for stress. Besides reducing their anxiety, it is also a good form of exercise for their jaws. Again like humans, dogs also get bored! 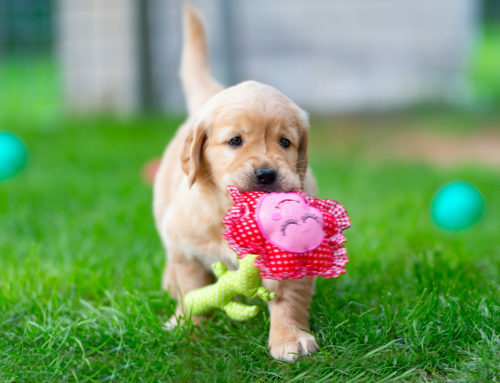 Many dogs resort to squeaky toys as a way to fill their days and alleviate boredom. To the human ear, squeaky noises can be an annoyance, especially when indoors. However, your dog probably loves his or her squeaky toy! Understanding the reasons why can help owners become less annoyed with their little noise-makers.